TIP: This is a great hotel for shorter stays, it is in the city centre so you are close to Zagreb Top Attractions. 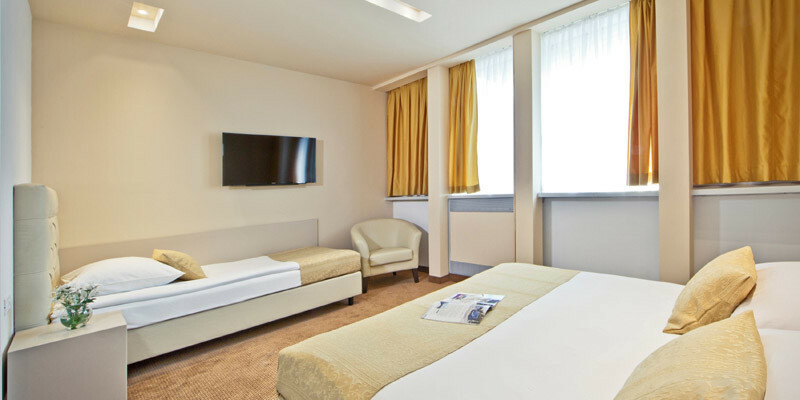 Hotel Central Zagreb is located near the Zagreb Train Station in Zagreb. Although close by, the rooms are soundproof, but if you open the window be prepared for a bit of street noise. It is a standard 3-star hotel offering great value and service. The hotels 69 rooms are air-conditioned with free WiFi, a work desk, a flat-screen cable TV and a fridge. 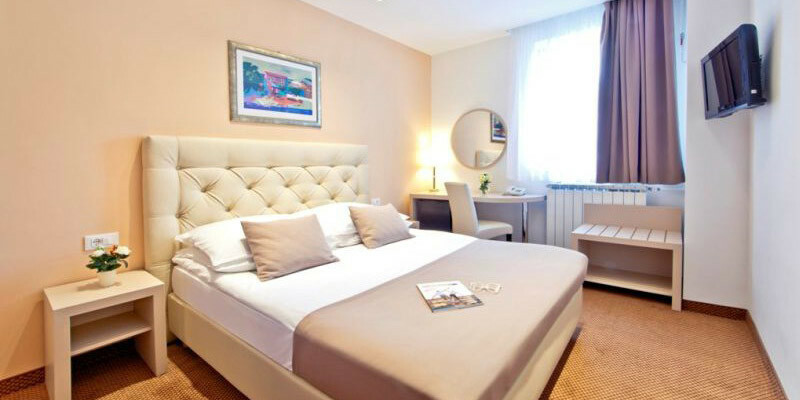 Hotel Central Zagreb is recommended for Business Travellers. We recommend it mostly for business travellers and shorter stays. They have full amenities for a business traveller needs and is close to the city centre so you can enjoy a relaxing walk after the working day. You can come and stay with your family as they have family rooms available. The hotel features a café and aperitif bar. Start your day with newspapers, coffee, croissants and fresh juice. Rich Buffet Breakfast is served at the restaurant from 6 AM till 10 AM, so you have plenty of time to rest. What is close by to Hotel Central Zagreb? If you have the time for a walk, we recommend starting through Tomislav square, Strossmayer Park and Zrinjevac park till you reach Zagreb ban Jelačić Square. You can also take a short detour and explore the Botanical Gardens and the Croatian State Archives. They are 10 minutes walking distance from the Zagreb Train Station. Most attractions are easily accessible from the hotel. There is public parking available around the hotel, but we recommend to use the Importanne Center Parking Garage (lowest level –3). It is 200 meters away, and the hotel has an agreement with them so you can easily pay for parking directly at the hotel. The price for hotel guests is 90 kunas (12.50 EUR) per day.